The soulful, piquant voice and gently swinging phrases of Gretchen Parlato have been drawing the attention of jazz listeners since her self-titled debut in 2005 and the confident follow up, 2009's In A Dream. Not that there was every much reason for doubt. An alumni of the Thelonious Monk Institute, Parlato's career has been gaining momentum ever since she won the 2004 Thelonious Monk Institute International Vocal Competition. She works incredibly hard across a range of styles, and sometimes seems to be everywhere. A ready collaborator, Parlato's unmistakable voice has been heard by this critic on at least two recordings in the last year – on David Binney's Greylen Epicenter and a track from up-and-coming trumpeter Suresh Singaratnam. Her latest work. The Lost and Found (ObliqSound) finds Parlato continuing to grow, producing the album, writing much more of her own material, and once again working with many of the people from her 2009 release, including her core rhythm section of Derrick Hodge (bass) and Kendrick Scott (bass), as well as Robert Glasper, who is associate producer and shows up on Fender Rhodes here and there. The biggest surprise of the album is not its quality – one would expect it to be good. But it is remarkable to learn just how much of Parlato has involved herself in every aspect of music-making here. Parlato's choice of covers has always set her above many other singers. Though I would imagine she's not shy of the occasional tune from the Great American Songbook, you're probably not going to find her going into the studio with "Fly Me To The Moon" or "Stormy Weather." No, Parlato opens with an understated take on Simply Red's "Holding Back The Years," a song which takes some of us back to the ninth grade, which which the singer makes cool all over again. Lauryn Hill's tune (by way of Mary J. Blige) "All That I Can Say" gives Parlato the chance to make the most of the lines in the chorus: "Genuine, seraphim/Sweeter than cinnamon/Heaven-sent gentleman/Sent him here for loving him." Works for me. Singer/songwrtier Josh Mease contributes the bubbly, fanciful "Me And You,"featuring Parlato jamming with Glasper. And on the charming "Alo Alo," by Paulinho da Viola, the arrangement is all Parato in its multitracked vocals and percussion. For those with more straight-ahead jazz tastes, Parlato leads her band through Wayne Shorter's "Juju" (showing the Shorter's Coltrane influence), and her rendering is dense, challenging, and highly original – no small feat for such a tune. Parlato is joined by tenor Dayna Stephens, and the singer and the horn blend tones for a unique texture. No less ambitious is a Parlato/Glasper arrangement of Bill Evans' "Blue in Green," which features Taylor Eigsti on a cover that is as straight ahead as the album gets, without ever abandoning Parlato's signature voice and phrasing. Five of the fifteen tracks on this album are stand-alone Parlato compositions, most of them very strong. "Winter Wind" is a bossa nova with a fascinating series of shifts and breaks in tempo and mode, with a thrilling closing minute that shows the singer making the most of a simple phrase. The playful, flirting "How We Love" can't help but make you smile and feel more attractive, and the languid "Better Than" is a song that seems to deliver on the flirting. The loose, impressionistic "Henya," provides enough space to show Parlato's group – Hodge, Scott, and Eigsti – trading ideas throughout. Strongest of all is "Circling," which has a fine groove, interesting changes, a poetry to the lyrics – and it seems to a be song that only Parlato could write and perform with this ensemble. The most ambitious tracks are those Parlato has written in collaboration with others. While a remix of 2009's "In A Dream" seems a bit unnecessary and the group's arrangement of "Henya" never seems to find a center of gravity the remaining three tunes offer many rewards. The title track, "The Lost and Found," written by Parlato and guest tenor Stephens, is complex, disquieting, and magically arrives in the same ambiguous place it began. "Without A Sound," by Eigsti and Parlato, bassist Hodge creates a hypnotic layering of three different bass parts, over which the singer's voice floats, cloudlike. And, call me a sucker for a guitar every time, but who can turn down the cheerful fingerpicking of Alan Hampton's "Still," which he co-wrote and sings in a wistful duet with Parlato? I've listened to the song about 50 times in the past month, and I still love it. Simply said, there's so much music on The Lost and Found – some of it straightforward, smart, radio-friendly, and some of it rich, manifold, formidable – that it's a challenge to take it all in. 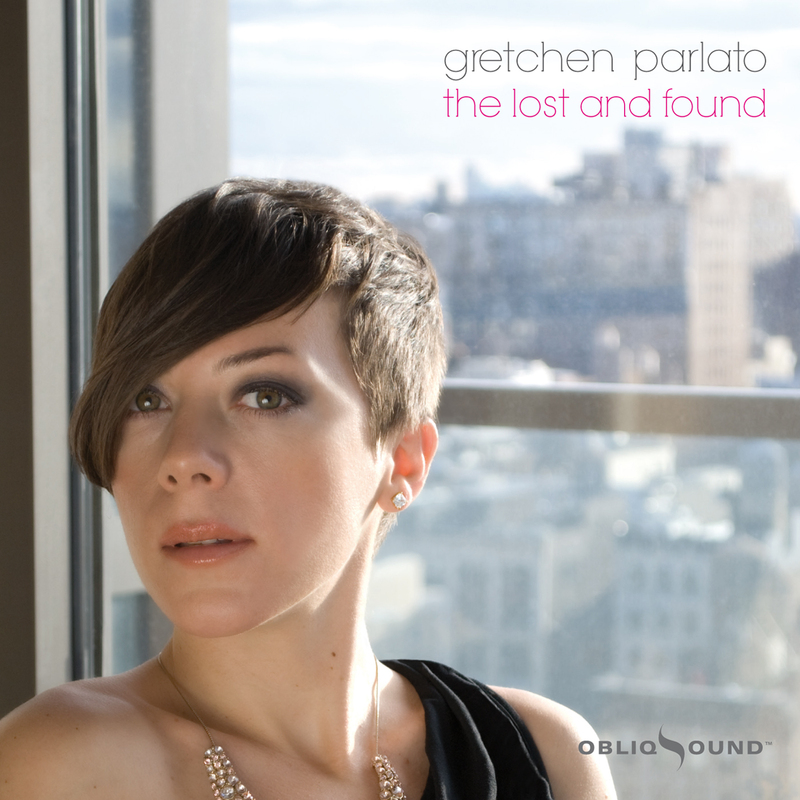 But what Gretchen Parlato does again and again on this release – more so now as a writer and producer -- is to keep the texture of the music and the sound of the band unified. She does this, first at foremost, of course, with her remarkable voice. But with The Lost and Found, one can hear Parlato's musical intelligence and imagination fully in residence. This is a jazz musician who has found herself.